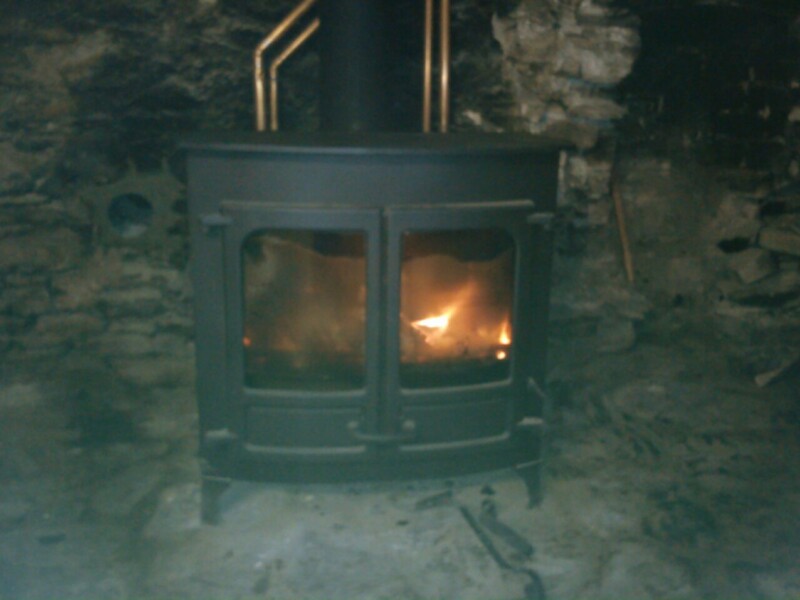 After spending a lot of last winter with no heating, we now have two magnificent and efficient wood burning stoves. 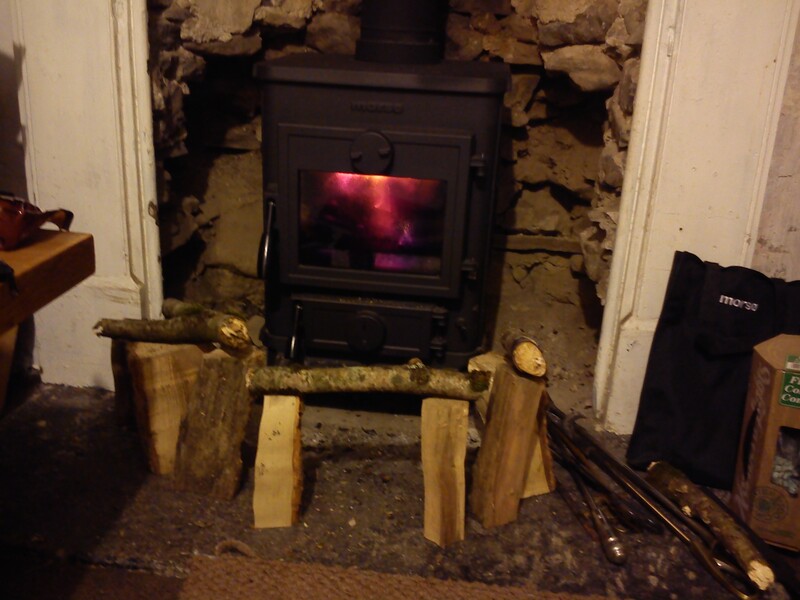 This one, to heat the lounge, hot water and radiators and this one….. that keeps the room we live, sleep and work in warm. 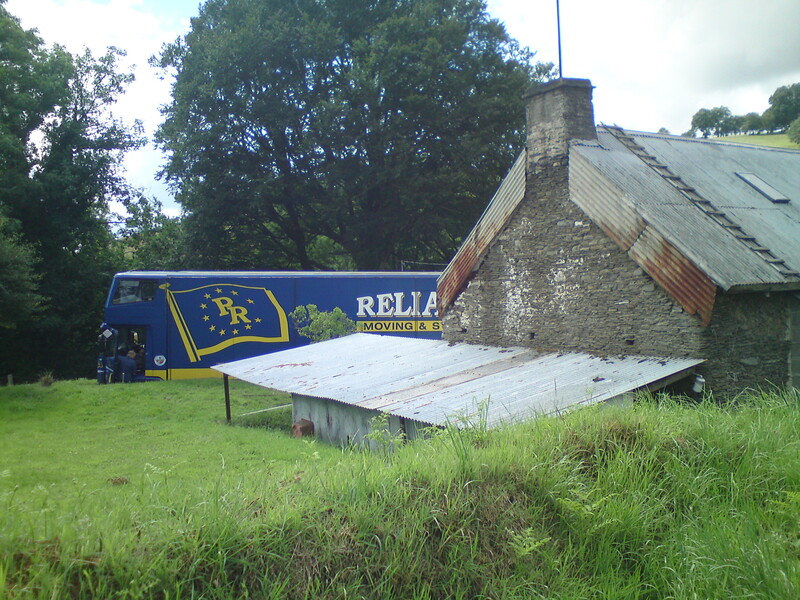 But with only tarpauline and tin on the roof and holes in the stonework, our house is still difficult to heat. We’ve an interesting curtain arrangement around the stair case…extra long curtains lined with velvet help stop the draught from upstairs. The insulation screwed to the kitchen ceiling helps a little too but in order to keep warm, we need lots of wood. We’re very lucky. Our land has trees and lots of them and no one has trimmed them or managed them so this weekend, we’ve worked hard to take out the trees and branches that are dangerous or have been left to grow in daft places. 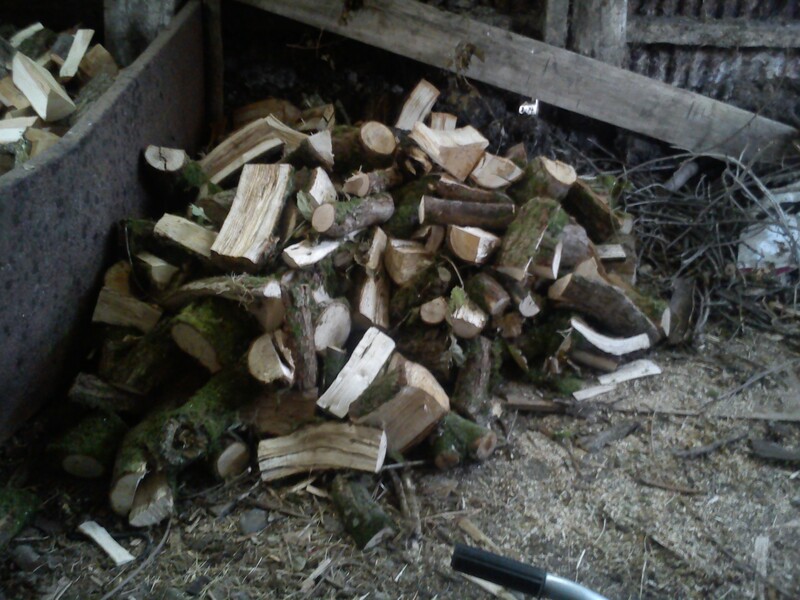 A few weeks ago, we took down branches over a track we share and began a wood pile for next year with a layer of oak. This weekend, we’ve been taking down ash which can be burned immediately. Any trees and branches endangering buildings are being removed before they become too big for us to handle and we’ve continued our scheme of coppicing, taking out wood to allow more to grow. As our land provides for us, we give back. 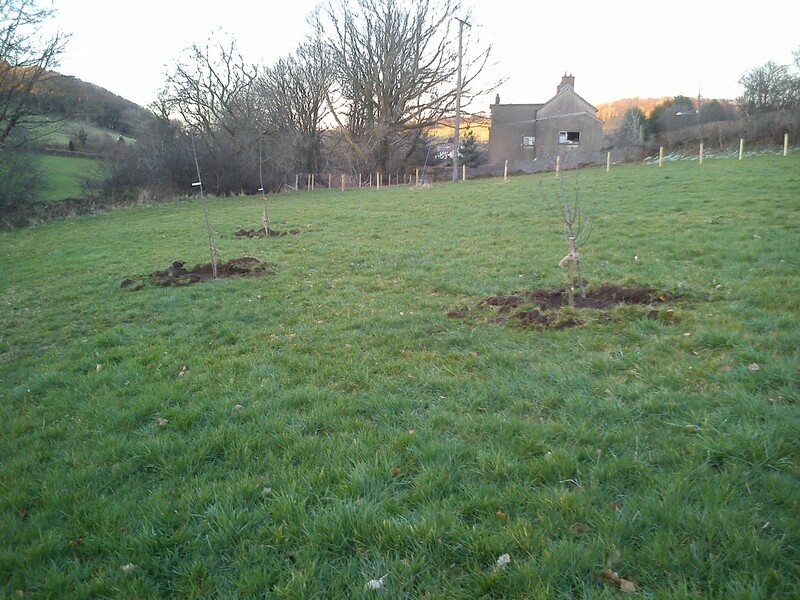 In March, we planted fruit trees, apple, pear, plum and damson. Ash saplings are sprouting all over the land, especially down on the river bank. Some we’ve left in situ until they grow bigger and some we’ve dug up and moved to the slope at the bottom of our field. We’ve planted willow, given by friends but it’s not taken very well so we’ll try again next year. Our beech tree, the Queen of the forest, is another tree that needs attention, seen here the day the removal van brought our possessions. Great leathery rows of fungus are visible from the roadside at the base of the tree and we are concerned that the roots are being eaten away. We have a neighbour who is a tree specialist so we will be seeking his advice as to the best way to proceed. We moved to Wales to change our lives and live closer to the earth. Our Land provides for us and we will look after her, removing the decades of rubbish left by previous owners and looking after the trees and replanting. In the future, we hope to plant hedgerow and soft fruit as well as erecting eco camping pods in our field using recycled materials, enabling others to immerse themselves in the beauty of the Welsh countryside. On our land, we see the wood and the trees.